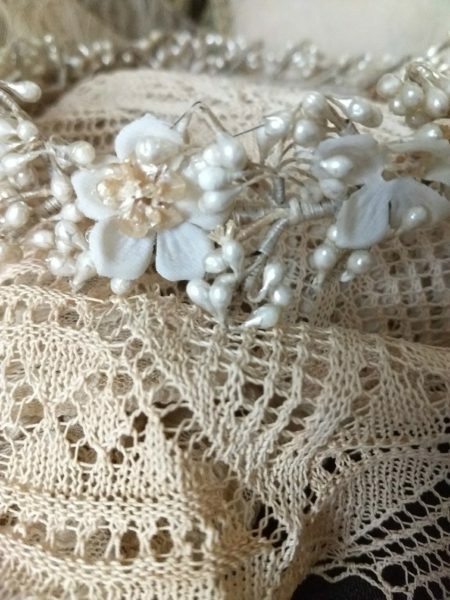 For the vintage bridal, this wax flower headpiece is tastefully made for a more simplistic style bridal wear. Dating from the 1920’s, the circular garland would have set at the crown of the head. It features small clusters of wax flower buds, intermingling with orange blossoms.